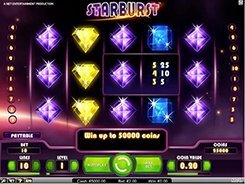 Sparks is an abstract themed video slot equipped with 5 reels and 20 fixed paylines. The set of symbols includes nicely designed playing card symbols as well as atoms, bundles of energy and other things that resemble elementary particles. 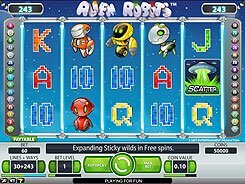 The slot will be very appealing to high rollers as the top bet reaches a massive $400 per spin, but with the minimum bet of $0.2 the game is also attractive to low-limit players. 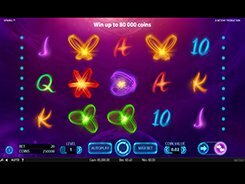 What makes Sparks especially fascinating is that you can play in a Win One Way mode or Win Both Ways mode. What’s more, choosing whichever mode does not affect the size of your spin bet. 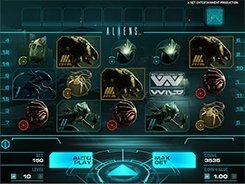 The slot has a wild and a unique Expanding Cloning wild feature. A normal wild substitutes for other regular symbols and helps create winning combinations. 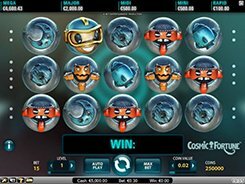 An Expanding Cloning wild that appears only on reels 2 and 4 can expand up and down the reel and clone the symbol landed to its left onto the reel to its right which improves your winning chances. 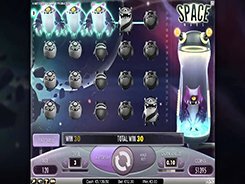 With impressive graphics, few gimmicks and fairly straightforward gameplay, Sparks will satisfy many 5-reel slot fans out there.